If you are a fan of his epic comedy, you are probably like most of us asking yourself the question: What in the world has Jim Carrey been up to? The six-minute video was uploaded to Vimeo two weeks ago but has recently gone viral, becoming a Staff Pick on the streaming platform and racking up over 2 million views. You can see Jim in his art studio, sharing powerful wisdom and deep psychological thoughts, surrounded by piles of paintings and colors. He reveals some secrets about his life that he has never shared with anyone before! The documentary features some truly jaw-dropping paintings made by the actor. 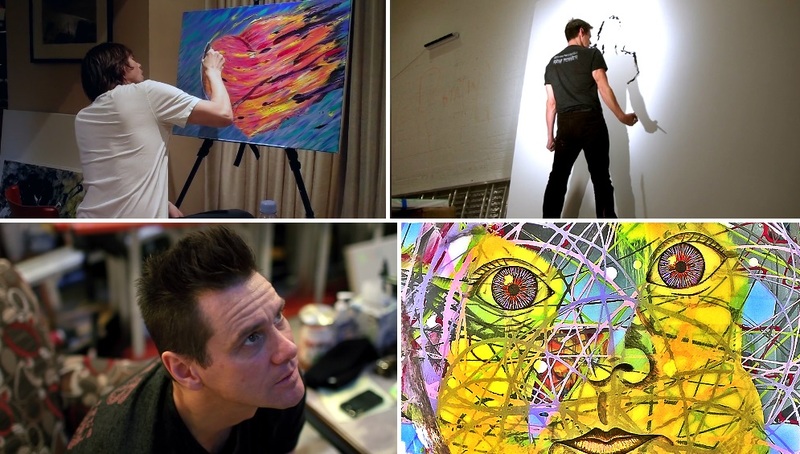 Carrey picked up art six years ago as a way to “heal a broken heart,” and he has produced some of his best work ever. Seriously, these paintings are incredible!